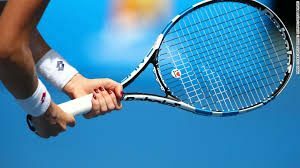 Marcos Baghdatis from Cyprus against Yuichi Sugita from Japan and Adrian Mannarino from France versus Andreas Seppi from Italy – these are the semifinals of the Antalya Open tennis tournament in Antalya, Turkey. The veteran Marcos Baghdatis beat the Georgian Nikoloz Basilashvili, losing just three games in the process – 6-2 6-1. His dominant performance was followed by a tough battle with Carlos Berlocq from Argentina. Baghdatis lost a set, but managed to defeat his opponent with 6-4 3-6 7-5. In the quarterfinals the experienced Cypriot faced the Indian Ramkumar Ramanathan, defeating him after another spectacular battle – 6-7 6-3 7-6. His next opponent Yuichi Sugita started the competition with a win against Matthew Ebden from Australian, defeating him in two sets – 6-1 6-3. In the next round Sugita recorded a prestigious win over the former №3 in the world David Ferrer, beating him with 6-3 3-6 7-6. The Japanese player reached the semifinal after a very convincing win over Daniel Altmaier from Germany – 6-3 6-0. In the other semifinal we are going to see a match between Adrian Mannarino and Andreas Seppi. Mannarino started his participation in Antalya with a win in two sets over Borna Coric – 7-5 6-4. In the next round the Frenchman defeated Mohamed Safwat from Egypt – 4-6 6-3 7-6. This win was followed by successful battle with Fernando Verdasco, which Mannarino won with 2-6 7-5 6-2. The veteran Andreas Seppi also reached the 1/2-finals in Antalya., In the first round the Italian defeated Kamil Majchrzak from Poland, beating him with 6-2 7-6. In the next round Seppi had to handle the Serbian Janko Tipsarevic, which he did very well – 3-6 6-4 6-4. The Italian reached the semifinals after beating Radu Albot from Moldova in the 1/4-finals – 6-3 6-4.